In 2013 I reviewed “Lightflight”, an enjoyable quartet album featuring the writing and playing of the Exeter based saxophonist Pete Canter. “Lightflight” teamed Canter with three leading musicians from the Bristol jazz scene, pianist Jim Blomfield, bassist Sol Ahmed and drummer Mark Whitlam. Canter plays tenor and soprano saxophones and since making his recording début in 1999 has released a number of albums, mainly in the classic jazz quartet format. His early output was largely concerned with the standards repertoire but since 2009’s “Ununbium”, a recording that also featured Blomfield, he has focussed exclusively on his own compositions and has emerged as a skilled and increasingly distinctive writer. However Canter’s main current creative outlet is his new group Sky Ensemble which adds the distinctive sound of Lucy Welsman’s cello to a group also featuring the talents of pianist Matt Johns, bassist Jim Rintoul and “Ununbium” drummer Gary Evans. Sometimes the group is extended to a sextet with the addition of Iona Padel Collins on viola but it’s the five piece version of the band that appears on “Strange Bird” with Canter specialising exclusively on soprano saxophone. The focus on the soprano plus the addition of Welsman’s cello ensures that Sky Ensemble sounds substantially different to Canter’s more straight-ahead jazz quartet. This group includes elements of folk, latin and classical music and approaches the music from a decidedly European perspective. The folk influence is particularly strong, and this, combined with the distinctive sound of Canter’s soprano sometimes reminded me of the music of Jan Garbarek, although given the West Country roots of this music perhaps the great John Surman might be a more appropriate parallel. “Strange Bird” comprises of five new Canter compositions beginning with the title track which neatly encapsulates the various influences that inform the album as a whole. The folk like melody encourages Canter’s soprano to dance in suitably bird like fashion above the colours and textures generated by his colleagues. Welsman’s cello parts variously bring a refined, chamber like ambience while at other times producing a pipe like drone that underpins the solos of Canter and pianist Matt Johns. The pianist sparkles on his solos and his sound is well captured by engineer Duncan Chave who contributes a pinpoint mix. Welsman enjoys her moments in the spotlight as does bassist Rintoul who solos in succinct but melodic fashion and forms a flexible and intelligent rhythm team with drummer Evans. At ten minutes plus “Air” is the lengthiest track on the album and once again the piece exemplifies all the virtues exhibited by its predecessor. Johns takes the first major solo and once more his playing is expansive and consistently inventive. He’s followed by the leader who probes subtly but incisively on soprano. Next we hear from Welsman, whose richly evocative cello brings such a distinctive sound to the group. Her dialogue with Canter is intelligently underscored by the other members of the group with Evans providing sharply detailed drum and cymbal commentary. Cello, double bass and piano introduce “Sky” as folkish melodies combine with a ‘chamber jazz’ feel. However as the music gains momentum the style embraces something closer to modal jazz as Canter’s soprano sax takes flight. Welsman’s contributions mark her out as one of the UK’s leading cello improvisers, inviting favourable comparisons with London based musicians such as Ben Davis, Lucy Railton and Shirley Smart. Johns and Rintoul also impress with the fluency of their solos before the track ends as it began. Rintoul’s unaccompanied bass introduces “Circle” which includes a lengthy theme statement and solo from Canter plus a well constructed solo drum feature from Evans. The excellent Johns also stretches out at length at the piano, subtly underscored by the timbres of Welsman’s cello. Richly textured unaccompanied cello introduces the closing “Folk in Five” with its beguiling combination of folk melody and odd meter rhythm. Strong melodies and well balanced, high quality ensemble playing distinguish the album as a whole and this piece is no different. Canter’s sinuous soprano leads off the soloing and he’s succeeded by a melodic cameo from Rintoul and a more expansive offering from Johns that combines adventurousness with an underlying lyricism. The piece, and the album, conclude with a stirring sax and cello duo coda from Canter and Welsman. “Strange Bird” expands upon the promise of “Lightflight” by creating a more distinctive group identity and putting the focus firmly on melody. Canter has written a series of memorable melodic themes but the playing of this excellent quintet ensures that the music goes beyond mere prettiness. There’s plenty going on within Canter’s compositions and both the ensemble playing and the soloing are bright and imaginative throughout with everybody, including engineer Chave, acquitting themselves superbly. I found myself enjoying this album more and more the longer I listened to it, which is always the best way. 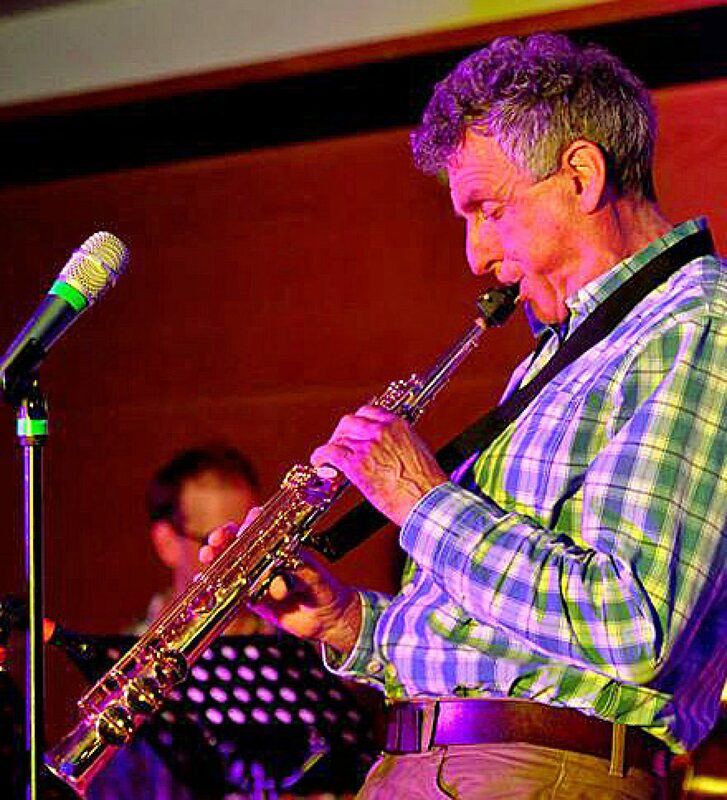 Pete Canter is a saxophonist, composer and educator based in Devon who performs in a variety of instrumental formats (duo, trio, quartet) and styles (the quartet Get Rich Quick tackles free jazz and electronica). A glance at Canter’s website http://www.petecanter.com reveals that he also plays the drums, doubling up on sax and percussion in Get Rich Quick and performing behind the kit as part of the jazz funk quintet Remo fronted by saxophonist Tony Kaye and trumpeter Gill Baker. He is also the co-organiser of Exeter’s popular Bridge Jazz Club. The majority of Canter’s recordings have been in the quartet format and this self released set of original tunes represents a follow up to 2009’s well received “Ununbium”. Bristol based pianist Jim Blomfield appeared on that recording and he returns here, this time joined by two fellow musicians from the Bristol area, bassist Sol Ahmed and drummer Mark Whitlam. The current Canter Quartet is thus comprised of some of the best jazz musicians in the West of England. “Lightflight” represents a good advertisement for Canter’s compositional skills as the quartet tackle pieces ranging across a variety of jazz styles. Opener “Tynes” is a modal, minor blues in 6/8 that features the leader’s Coltrane style tenor as he stretches out following Blomfield’s opening solo. There’s also an extended feature for Whitlam’s drums above an extended modal piano vamp. “Conversation” also features Canter’s tenor on a piece that begins as a waltz before shifting into 7/8 for solos from Canter and Blomfield. Canter’s slightly gruff tone contrasts well with Blomfield’s flowing lyricism. The Bristol based pianist is one of the most inventive keyboard soloists around, I’ve always been hugely impressed whenever I’ve seen him perform live including his recent appearance with alto saxophonist Kevin Figes’ quartet at the Queens Head in Monmouth. The title of the composition is sourced from the dialogue between sax and piano that finally resolves the piece. Canter switches to soprano for the title track, his tone keen and incisive. He sometimes uses the name “Lightflight” for quartet sessions that see him specialising on the soprano. The saxophonist really soars here as he shares soloing duties with Blomfield above the infectious Latin inflected rhythms of Ahmed and Whitlam. In 2010 Canter was commissioned to write a “jazz meets classical” suite for Exeter’s Vibraphonic Festival. The work was entitled “Sketches” and two of the pieces have since been adapted and re-arranged for jazz quartet for inclusion on this album. The first of these is “One For Eddie”, Canter’s dedication to the late jazz educator Eddie Harvey who taught Canter at his (Harvey’s) jazz improvisation workshops in the 1980’s. Harvey’s death is relatively recent and the mood is suitably reverent albeit with some adventurous harmonies that would doubtless have pleased the great man. There’s also some intentionally nostalgic swing passages as the quartet combine the traditional with the contemporary, frequently juxtaposing the two styles. At a little under nine minutes it’s the lengthiest and most ambitious piece on the album but works extremely well with each member of the group rising to the challenge. One senses that Eddie Harvey would have approved. “Lurch” is an altered blues that begins with the sound of Canter’s unaccompanied tenor and goes on to embrace a first solo from Ahmed, a good demonstration of his deeply resonant tone and admirable dexterity. Canter and Blomfield follow, improvising imaginatively around the blues theme. Despite the title “Bicycle”, originally written for the “Sketches” project, turns out to be a haunting minor ballad featuring Canter’s warm, breathy tenor. His solo is a master-class in ballad playing, retaining sufficient grit to prevent the music tipping over into sentimentality. There’s plenty of wit and invention behind the lyricism Blomfield’s contribution too while Whitlam’s imaginative brushwork is a delight throughout. “Chimes” combines swing and Latin rhythms and is the vehicle for warm and inventive solos from Canter and Blomfield with both men stretching out expansively to good effect. The second soprano feature on the album is “Pairs”, a breezy outing that fuses swing, Latin and modal ideas. It’s a vehicle for fluent solos from Canter, Blomfield and Ahmed as Whitlam handles the rhythmic changes with aplomb. “Pendulum” adopts an arresting 5/8 groove that fuels urgent solos from Canter and Blomfield. The album concludes with a reprise of “Conversation”, a Latin inflected version which develops from a languid start to incorporate solos from Canter and Blomfield plus a drum feature from the consistently excellent Whitlam. Although it doesn’t pull up any trees, and very probably doesn’t aspire to, overall I was impressed with “Lightflight”. The album reveals Canter to be a skilled composer across a range of jazz styles and an inventive soloist with a distinctive sound on both of his saxophones. He receives great support from his Bristolian trio. Blomfield is an inspired piano soloist with much to say and Ahmed is a subtly propulsive bassist and a fluent soloist when called upon. Whitlam’s colourful and varied drumming is impressive throughout as he responds imaginatively to Canter’s compositional ideas. I’m not sure how often this particular quartet gets to play live but I’m sure that they’d be well worth seeing. In the meantime jazz listeners in the West of England are advised to take time to check out Pete Canter’s other projects plus Exeter’s Bridge Jazz Club.